CandyDoll, Friday, MoonRabbit + More! Pr!tty, CandyDoll, MIWAS + More! photo taken at A Little Bit of Soul. Okinawa, LAGOM, Limit8, Freebie + More! NYU, Ayashi, Friday + More! photos taken at New Babbage. Cosmic Peaches, N Uno, Thunk + More! Barks and Beers + Powder Pack News! 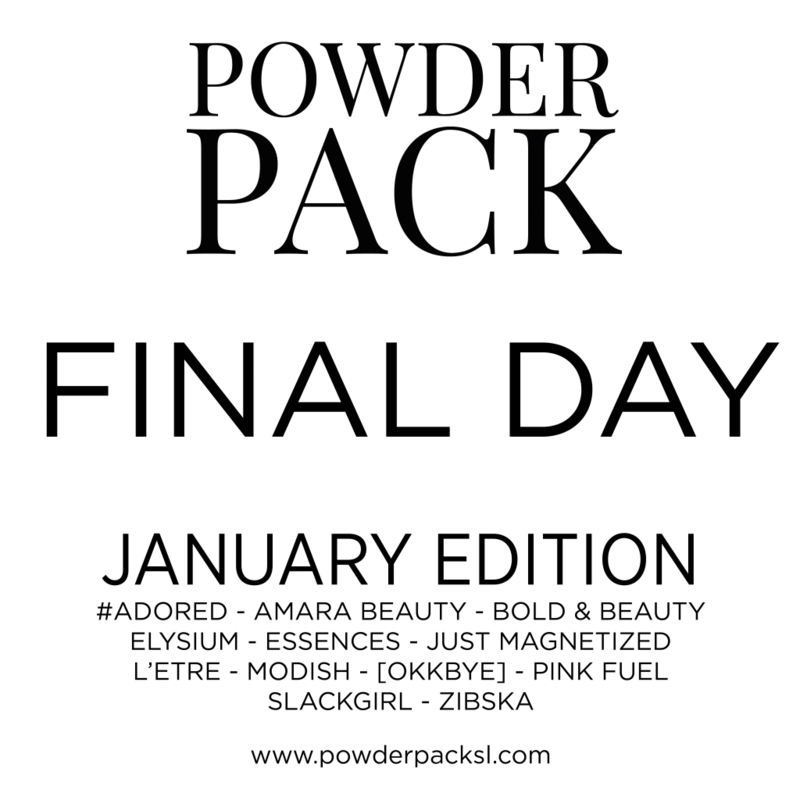 There is only one day left to register for the Powder Pack before the price jumps from 1,500L to 3,000L! Be sure to reserve your box today, see the Powder Pack website for details! poses by infiniti – chill. photos taken at The Winchester. This post is a few days early but since the cute headbands and socks are out now for Fifty Linden Fri I wanted to go ahead and post it. Don’t want to miss out on the deals! !